It’s the Glenview Stars Winter Update! 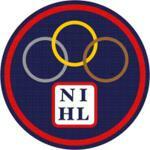 The seeding round is over for our NIHL teams and the regular season is under way. Teams will play between 16–22 league games depending on the age, level, and tier. Saturday, February 4, 2017, is the date for this season’s annual fundraiser. The Stars have one fundraiser per year and this benefit is it! Last year was a very successful year. That money went toward ice time. The budget had been projected to include a midget team, which was ultimately dropped due to lack of participation. We had committed to the ice and were required to pay for it. The good news was that all teams got more ice time. This year, the money raised from the benefit will be used toward a video recording system available for use by all Stars teams and a coaches & player development fund. More information will be forthcoming regarding the benefit. Each team will be donating a basket to the auction with a value of approximately $200. Please consider volunteering to put your team’s basket together. This is an additional role for each team. Please let your manager know if you will handle this responsibility. We will also be asking for volunteers to help work the benefit. We will need volunteers from each team. Stay tuned for a sign-up email that will be coming out. Q. Why don’t we have position specific training for all levels? A. All kids should learn elements of all positions. Position specialization shouldn’t occur until Midgets or beyond. Q. Are the mid-season and year-end surveys truly anonymous? A. Yes, they really are anonymous. They are made through Google and the Board and Hockey Director have no idea whose survey belongs to whom. Q. Why is it important to have a Central States team at each level? A. The perception is that Central States provides the highest competition at the Tier 2 level in Illinois. 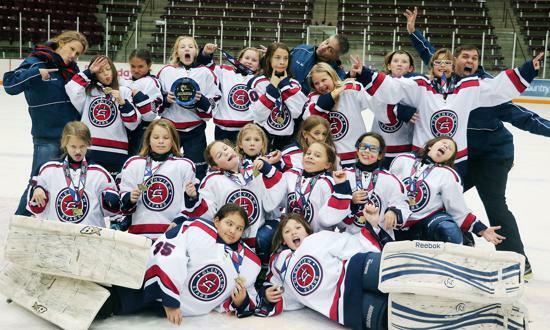 It is important for many of our families that the Stars offer CSDHL teams at all age groups. When we have looked at attrition from our program, the number one reason families cite is the lack of CS at a specific level. The organization is responding to the demand of our families. Q. Why did the Stars move to the birth year format for top teams at each level? A. As mentioned above, it is a priority for our families to have Central States at all levels. Birth year teams are key to this strategy. Q. Do the Stars still publish an ad book/directory? A. No. It was a significant expense that the organization felt could be better used toward ice time. Each team puts together a contact list for all members of the team. 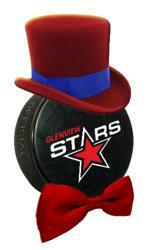 If there are other topics you would like to have us address, please let us know at info@glenviewstars.org. The Stars board will be interviewing candidates for a NIHL representative, who will also be a member of the Stars Board of Directors. The NIHL representative will attend three sets of meetings: monthly NIHL meetings (in the evening) in Bensonville, the annual NIHL meeting every fall and Stars board meetings. This person is the main contact for all communication from NIHL and will be responsible for disseminating all information to the Stars organization. Interviews will be held on Dec. 20, 2016, beginning at 8 p.m. If you are interested in interviewing for the position or cannot attend on Dec. 20, please let the board know by emailing info@glenviewstars.org. A friendly reminder from AHAI, NIHL, and the Glenview Stars Board: Because of an alarming increase in violations, officials have been instructed to step up enforcement of the zero-tolerance policy that you and your player signed at the beginning of the season. Please help ensure that the Stars have a reputation for top-tier sportsmanship as players and spectators. You can read the policy here. 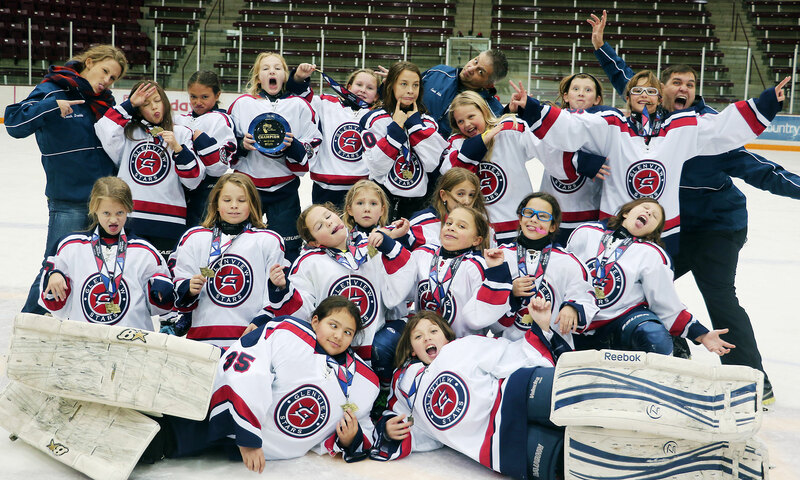 The Glenview Stars Girls U10 team celebrates winning the championship at the All-American Girls Tournament in Blaine, Minnesota. Congratulations to the Girls U10 team for their first place finish in the All-American Girls Tournament! 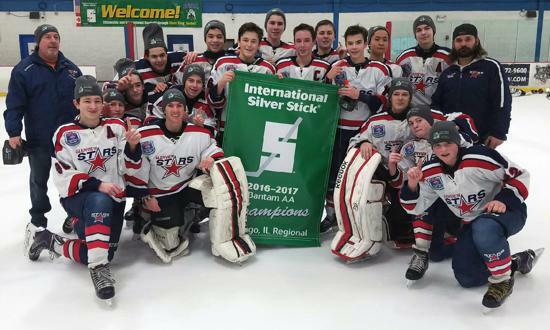 Congratulations to the Bantam Major CS team for their first place finish in the Johnny’s Ice House Turkey Tournament and the Silver Stick Regional Tournament in Chicago! Congratulations to PeeWee 1 for taking second place at the Rock ‘N Roll Cup Tournament! Good luck to all! Bring home some more hardware! How’s It Going at Mt. Prospect? We have heard rave reviews from parents and players about the new Mt. Prospect rinks. The ice is great, the locker rooms are spacious, and the facility is close! What more can we ask for? PLEASE remind your players to respect the facility as if it were their home. The Stars are very lucky to have 4-5 hours per week of ice time at Niles on their outdoor rink again this winter. There is a locker room protocol that must be followed when teams are skating at Niles. An adult must use his/her keys to check out a locker room key. Please understand that this is their policy as it is at many other rinks and there are no exceptions. Thank you in advance for your cooperation.